Sam Edelman heels are classic and beautiful,high-end enough to be saved for special occasions, but not so out of range that its impossible to obtain a pair. In comes Target! Yet again they’ve hit the nail on the head with this collaboration. I’ve mentioned the summer sandals in a previous post Sam & Libby Sandals and now I’ve gone ahead and purchased this basic statement heel with a twist. 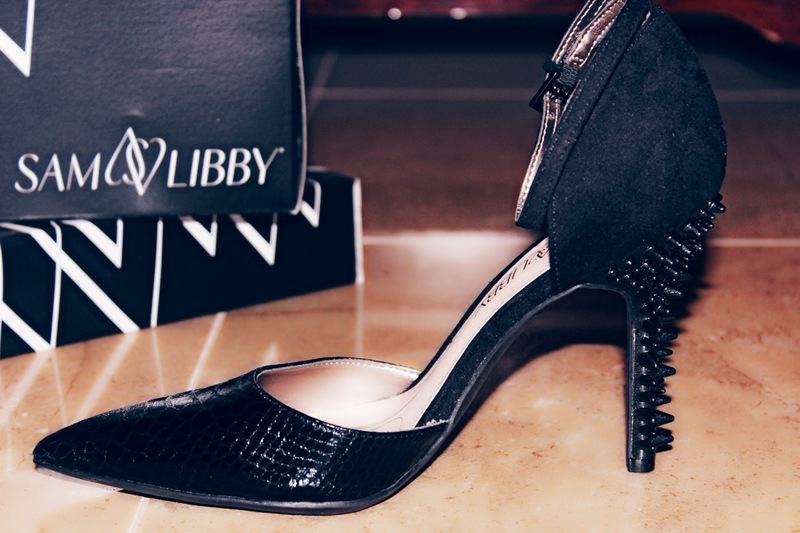 Featuring a spiked heel and snake print embossed on the front, this heel provides enough embellishments for a night out but is also subdued enough for a work day as I wore it. 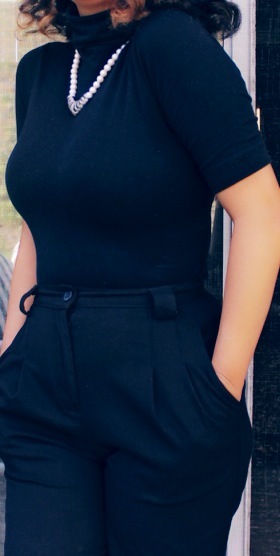 I went for a business casual look (appropriate for my dress code at work) and went with all black with hints of print. 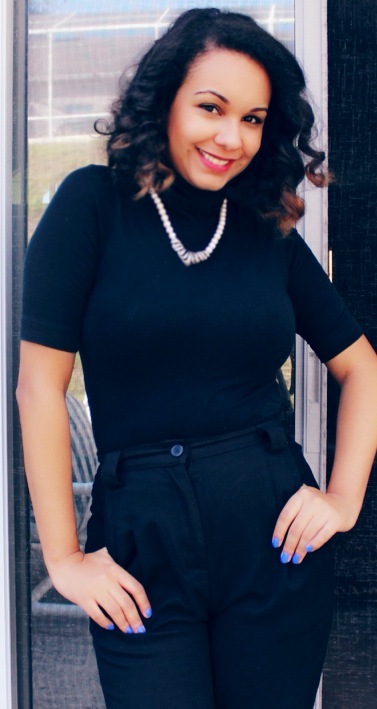 My black fitted turtle neck is a staple for these fall months as well as these high waist trousers from American apparel. Top it off with a houndstooth cardigan and a crème scarf and your all set for a high stakes day, or a chill evening out. The height make them super comfy and easy to move around in. I got my true size (6) it is also available in the color pewter (silver/grey). Links at the bottom!